Manchester City are now expected to put in a much higher bid , up to £8M, for our goalkeeper Shay Given, and if the fee offered is near or above that figure, then Newcastle may find it hard to turn down the bid for Newcastle’s most loyal and brilliant player, who seems to be just fed up with all that’s happened on Tyneside this season. 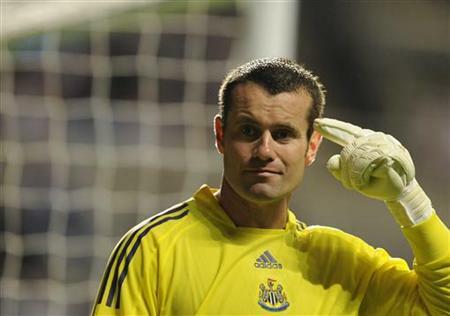 Shay Given – has he had enough of all the promises on Tyneside? But it was only during the reign of Sir Bobby Robson that Shay had anything like the success he still craves, and he may have finally given up the ghost on Tyneside. Certainly the disastrous result at Blackburn will not have helped things. Make no mistake – if Shay leaves, whatever spin the club and Joe will try to put on the deal, it’s because Shay has had enough of all the promises at Newcastle. And it’s a fact he’s less than enamoured with the current owner and that nothing was said to the players once Kevin left. In fact since Chris Mort left in May, Derek Llambias and Mike Ashley have managed the club (or should we say not managed it) worse than 11 years olds – and apologies to all the 11 year-olds reading this. To keep silent while all the uproar was going on at the club, goes right against what your are taught in senior management school about the importance of good communications in business – believe me. It’s just unbelievable what they’ve done, or haven’t done these last six months – utter incompetence from the top. Of course Newcastle are also in negotiations to retain the services of Steve Harper, with a new contract while Dutch youngster Tim Krul is due to be recalled from his loan stint at Carlisle United in order to cover the Easington-born stopper in the event of Given leaving. Of course Harper is also in demand and could also leave, as we reported this morning as Tottenham manager Harry Redknapp is keen on the goalkeeper. So we now expect at least one of the goalkeepers to leave the club in January, and it looks like the upper management is starting to lose control of the situation, terrible as it is. And so the mess that is currently Newcastle United continues – completely unabated – what a way to run a football club, as famous as Newcastle United. I can understand Shay wanting to leave and I certainly wouldn’t feel any ill-will towards him for doing so. It’s just a shame it has come to this. Shay, nobody in their right mind wants to see you go but rest assured, the fans fully understand your frustration. If you do go, you’ll go with everyone’s good wishes and please take some happy memories of your time at NUFC. who can blame shay,the club is in a reet mess. What if we let him go and Harper doesn’t sign a new contract, especially if Spurs offer him a move. We’ll be down two very good goal keepers and replacing them with two untried youngsters at this level. When you look at our transfer activity though that is more likely to be a form of plan on Ashley / Wise’s part. Think of the money we could save guys !!!!!!!! Thats what Im singing in my head. No offence to the Chronicle sports team but its like a wake in the articles. Ed is right about communication and there has only been probably one thing since the departure of KK and that was the ‘Fact’ link on the website that could have only been written by Llabiarse the arse. So we have a game tomorrow behind closed doors against Carlisle to check out the youngsters and one is reported by the chronicle as being a relative of an old team mate of Dennis Wise. Ooh how nice is that. There are 11 men who can help us – the team. Given – love you fella and good luck (if you do go). Kinnear – SHUT UP but then again he is the only contact from NUFC. Were f****d and we know we are! Feb the 1st – you better not be at SJP you fat p**k and you ya voiceless T**t!!! Sorry for the harsh stared out words but I need to express myself and feel better now I have. Well until the 28th anyway! Harper better not leave to. Do yourself a favour, Shay – go. You deserve the best as you are the best. We don’t deserve you because we are far from the best. I don’t know anybody associated with the club who isn’t feeling disillusioned at the moment. The new players will be thinking ‘I was told this would be a great move for me!’ – I’m sure that’s not what they think any more. The older players will be gutted that we have never fulfilled the promise we once showed. Even JK sounds like he’s banging his head against a brick wall asking for transfer funds. Investors in the club will be moaning how we aren’t bringing in enough revenue and are on the verge of relegation. The fans are just suffering as always! Then MA comes out and moans about how he feels threatened by his club’s fans. If Shay is disillusioned that much then he will go. What a way to treat such a loyal player. What a way to treat such a club as NUFC. What contempt shown towards the Geordie Nation by a bunch of southern barrow boys. We are being driven into the Coca Cola toss pot by incompetence, cynicism, lies, pot-bellied posturing, shifty Wise eyed weaseling, and sheer contempt for the once proud black and white striped maestros. Come on Ashley – put your hand in your pockets for more that pocket billiards. You made this mess. Nobody else did. I’m getting fed up with the way people are having to tip toe around Given, he’s a great shot stopper but a lot of them are for the cameras, he’s not that much better than Harper. Sell him and put the money towards signing M’Bia and Gomis, those 2 will make a bigger impact on the team this season and in the future than Given will. cmon lads……..of course david craig is a sh+t stirrer!! were in a relegation fight, i highly doudt were going to sell probably the best keeper in the league!! I am afraid I am beginning to agree with the views that Shay is now a whiner. I feel the same about NZogbia. Neither cry on the way to, or from, the bank. Time to back Harper, a local lad, and demand a contract worthy of a just as good goalie! This abominable mess NUFC is now in should show us who is for Toon and who is not! We fans are always standing up to be counted – now let us find out which players are with us too. Let us face it. The truth is we are the only ones left. No brain board, no brain players, no brain management. who cares really. everything is fcuked at newcastle and its only gonig to get much much worse. The 10m was never there, players will only be signed after players are sold. Another former Spurs player linked with the toon. Having been relieved of his position as Nottingham Forest Manager late last year, it’s believed that United have now offered Colin Calderwood (pictured) an unspecified position on the SJP coaching staff. During a playing career that spanned almost twenty years, the 43 year-old Scottish international defender appeared for Mansfield Town, Swindon Town, Tottenham Hotspur, Aston Villa, Nottingham Forest & Notts County. 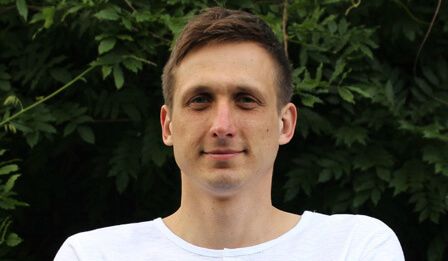 Calderwood then returned to Spurs as reserve team coach before moving into club management with Northampton Town in 2003, taking the City Ground post in 2006. As well as playing at Spurs with Chris Hughton, the pair were also part of Glenn Hoddle’s backroom team at White Hart Lane. I’d drive Given to Manchester my self. Not because I don’t rate him but because we desprately need the cash! That is why I am from after the Sunderland match posting my season ticket back to the club for the attention of Mike Ashley and cancelling my DD for the next 3 years! David Craig you aint on the ball. Thats been on NUFC.com since about 1230 today. I like the way you used copy and paste from teh Chronicle web site on the other thread. Now that Ive finished on that tool, this can only be see as a help. Its obvious that Kinnear needs assistance in that field. We known that for yonks. You just know that Mike Ashley has been a Spurs fan all his life and is now assembling all his former heroes as part of our backroom team. What did he expect to happen. Joe, if you ever read this – when it comes to how much you have to spend keep your mouth shut. All the fans want to know it that there IS money available. We don’t need to know how much. If other clubs know how much money you have they will inflate the price accordingly. Just look at Kaka! It breaks my heart to say it, but I can see both our loyal goalies going and I will be devastated. However, in all honesty I would not blame them as they both deserve better. Ashley – how could you do this to out team you are ripping the very heart out of our club? Are you deliberately trying to send us down to the fizzy pop league? Llambias you are a complete waste of space and cost to our club what exactly do you do? Leave my club and get back in the gutter where you belong and take Ashley, Wise and Vitere with you.